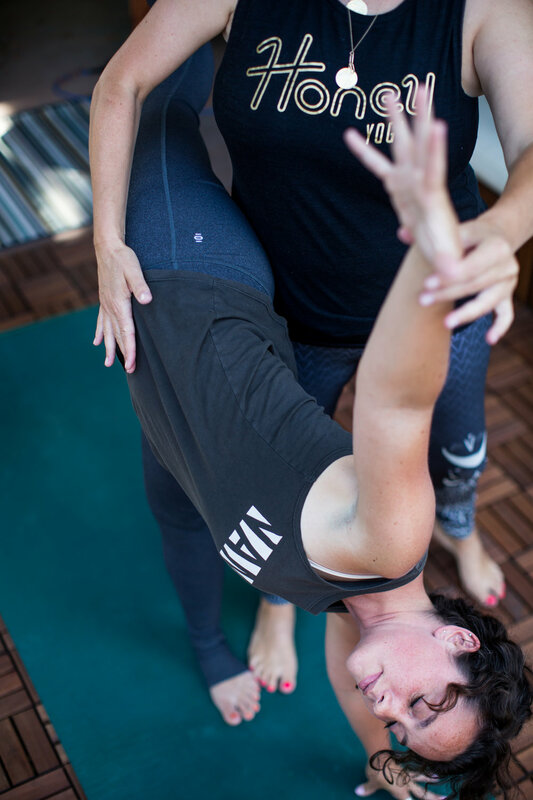 Olivia and Bridget created Honey Yoga from pure love, joy, and flow, and this is exactly the same spirit behind their new 200-hour yoga teacher training program. The intention of this program is not only to guide students into becoming exceptional technical yoga teachers but much more importantly to encourage, inspire and guide their students to come alive. It’s time to find out you really have to offer yourself, your community, and your world. The wisdom of yoga is that you already have within you everything you could ever need. If you feel like you’re ready to find out what that is, this training is for you. At the very heart of Honey Yoga is our deep desire to share yoga with everyone—and in particular create and hold space for radical inclusivity—a space where those with bodies and identities that are under-represented in yoga feel comfortable to be themselves, and those who are represented learn how to best hold space for everyone else. We do not have all the answers (I mean...we know how to like...teach and stuff), but if you give us some time we can help show you that you have every question and answer you’ll ever need already inside of you. This is a program to discover that you are your one true teacher. If you are looking for a a highly traditional, or classical Yoga Teacher Training, this is probably not the program for you (but we tooootally respect that). We cover, incorporate and honor Patanjali’s 8-limbed path, we’ll discuss ancient texts and traditional philosophy and practice, and we offer (with the help of people much smarter and wiser than us) exceptional technical and philosophical material, but most importantly we honor every yogi’s individual journey to discover what feels authentic and true in their own heart. Highly focused on encouraging and inspiring each individual to uncover, explore and bring forth the wisdom of their own intuition, this program is for all people who want to find out what it means to be a growth-seeking being living a life more full of truth, love and freedom. And we’ll show you how to teach yoga. If you’d like to hear a little bit more about Bridget & Olivia’s thoughts on Yoga Teacher Training and how they’re approaching it, check out his podcast episode. *Please note slightly abnormal schedule for first weekend! One hour lunch break (usually around 1 pm--subject to change) will be provided on Saturdays and Sundays. The cost of the program is $2,650 paid in full by January 10, 2019. There is an early bird special of $2,250 if paid in full by November 1, 2018. An application deposit of $400 is required which will go towards your tuition. If you are enrolled and do not attend, the deposit is non-refundable.